The Transformative Humanities: What, Why and How to Transform? The current crisis of the humanities is caused by their intellectual autism, characterised by impaired social interaction. The humanities have lost the ability and desire to communicate with humans as spiritual beings; instead, they choose to deal with the texts of the past, mostly for the sake of criticism and deconstruction. The humanities are caught in the old dogma of specification as advanced in the 1920s by Russian Formalism and in the 1930s and 1940s by American New Criticism: everything in literature is reduced to pure literariness, and literariness is further reduced to textuality. There is no metaphysics, no biography, no psychology, and no living people: only texts conversing with other texts. This tenet was further exacerbated by structuralism and poststructuralism. The humanities of today are hypercritical, hypertextual, and hyperpasseist. The humanities have the goal of studying and transforming their subjects, i.e. humans, in all their cultural manifestations. The humanities can be defined as the self–transformation of the human species by the force of its self–awareness and self–exploration. Even while researching the past, the humanities aim to shape human future. Without transformative practices and applications, the humanities are what botany would be without cultivation of plants, forestry and gardening, or cosmology without practical exploration of outer space. Scholarship becomes scholastic. All sciences need their own technologies to increase knowledge through experimentation with objects of knowledge. What impact does cultural theory have on contemporary culture, or poetics on living poetry? It should be the task of literary scholarship to project new practices of writing; the task of linguistics should be to create new systems of signs, lexical units and grammatical models that would expand the richness and expressive power of language; and the task of philosophy should be to project new universals and universes, the alternative worlds that may become more and more palpable and habitable through the advance of technologies. Every humanistic discipline needs its practical extension in order to convert knowledge into constructive thinking and creative action. 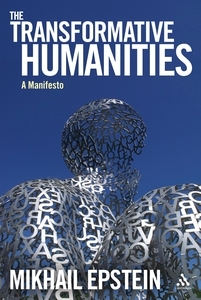 The system of priorities in the humanities needs radical revision. Today, it encourages the proliferation of overly detailed and highly specialised descriptions rather than genuine new ideas. In order to survive and prosper in the 21st c., the humanities must shift their focus from descriptive scholarship to creative thinking capable of producing new intellectual movements, spiritual practices and socio–cultural institutions. Such a shift in focus would enable the humanities to shape the future on par, and in interaction with, sciences and technologies. The humanities need a transition from their autistic concentration on "close reading" to socially engaged "open reading" and "open writing": open to humans beyond texts and to methods beyond criticism and deconstruction. The humanities must learn how to concentrate and disseminate intellectual energy through concise genres, such as aphorisms, manifestos, programs, theses and thought provoking fragments and drafts. These are genres that would grasp the spirit of creative thinking and resonate with the surging noosphere and technosphere of the 21st century. Einstein famously stated, "Imagination is more powerful than knowledge." Indeed, knowledge merely reproduces the existing world, whereas imagination creates the world that never existed before. This type of innovation is in short supply in the humanities. Our disciplines must recapture the intellectual initiative and imaginative powers that in the 20th century were appropriated by sciences and technologies. In the past, the humanities, through philosophical vision, moral imperatives, socio–utopian projections and aesthetic manifestos, led the humankind into the future. Will their sole role in the future be to lead us back into the past? The Transformative Humanities are the future-oriented humanities that do not limit themselves to scholarship, but rather seek to create their own ways of changing what they study. We know that technology serves as the practical extension (“application”) of the natural sciences, and politics as the extension of the social sciences: both technology and politics are designed to transform what their respective disciplines study objectively: nature and society. Is there any activity in the humanities that would correspond to this transformative status of technology and politics? The transformative humanities encompass all humanistic technologies and all practical applications of cultural theories. When offering a certain theory, we need to ask ourselves if it can inaugurate a new cultural practice, a new artistic movement, a new disciplinary field, a new institution, a new life-style, or a new intellectual community. The main insights of literary theory, as we study its innovative ideas and peak achievements, are found not in scholarly monographs or articles, but in various genres of the transhumanities, in particular, literary manifestos, which are products of theoretical imagination, rather than of empirical study and scholarly scrutiny. The manifestos of Neoclassicism, Romanticism, Naturalism, Symbolism, Futurism, or Surrealism proclaim new literary movements and cultural epochs, and they trigger these movements by the very act of their proclamation. Manifestos are performative rather than descriptive speech acts; they implement what they pronounce. Those who found new literary movements typically are not scholars, but a separate breed of creators of ideas and theories. They are transformative thinkers and humanistic inventors. Manifestos are neither factual nor fictional—they are formative. The proper place of manifestos is precisely in the as yet unmarked domain of theoretical inventions, or the transhumanities. The transhumanities embrace both modes of cognitive advancement recognized by the sciences: the discovery of some existing principles and facts, and the invention of those tools and ideas that can transform a given area of study. Inventorship, as a mode of creativity, is as indispensable a companion to scholarship in the humanities as technology is to science. The transhumanities can be defined in Mikhail Bakhtin’s words as “the co-creativity of those who understand [culture]”, as the constructive and transformative potential of cultural theories. Our academic institutions, however, currently have no place for such avenues of conceptual creativity. There are departments of literary theory and scholarship (“comparative literature”); departments or programs of fiction and creative writing; but there are no departments of constructive writing in “practical theory”, no transhumanities departments. Is there any institution in contemporary academy in which such literary inventors and builders as Friedrich Schlegel, Vissarion Belinsky, Friedrich Nietzsche, André Breton, or Walter Benjamin, could flourish as professionals? Imagine Friedrich Nietzsche applying for the position of assistant professor in a department of philosophy and bringing his book Thus Spake Zarathustra as confirmation of his credentials—a book without a single reference, with no list of sources, devoid of scholarly apparatus, and full of pompous metaphysical declarations voiced by an arrogant author in the guise of an ancient Persian prophet. Most likely Nietzsche would be denied even the position of an instructor, while, following his death, dozens of distinguished professors of philosophy have made their careers studying Nietzsche’s oeuvre. The contemporary academy dismisses humanistic inventorship, while retrospectively holding it in such high esteem. The academy’s failure to recognize the cognitive status of the transhumanities raises the question of whether various intellectual capacities are adequately represented at our universities. According to Alfred North Whitehead, one of the greatest philosophers of the twentieth century, “the task of a University is the creation of the future, so far as rational thought, and civilized modes of appreciation, can affect the issue.” Humanistic inventorship, even more directly than humanistic scholarship, shapes our future. For the humanities to survive and to enhance their intellectual impact on society, their transformative branches need to be recognized in contemporary universities by establishing programs in creative thinking and humanistic inventions. The academy needs creative minds in these fields no less than they need the academy. Mikhail Epstein is the Samuel Candler Dobbs Professor of Cultural Theory and Russian Literature at Emory University, USA, and Professor of Russian and Cultural Theory at Durham University, UK. He has authored 20 books and approximately 600 essays and articles, translated into 16 languages. Professor Epstein has won national and international awards, including The Andrei Bely Prize (S.-Petersburg, 1991); The Social Innovations Award 1995 from the Institute for Social Inventions (London); the International Essay Contest set up by Lettre International and Weimar – Cultural City of Europe, 1999; and The Liberty Prize, awarded annually for "the outstanding contribution to the development of Russian – U.S. cultural relations" (New York, 2000). Hey there! This is my first comment here so I just wanted to give a quick shout out and tell you I genuinely enjoy reading through your posts. Can you recommend any other blogs/websites/forums that cover the same topics? Thanks! This design is spectacular! You obviously know how to keep a reader entertained. Between your wit and your videos, I was almost moved to start my own blog (well, almost…HaHa!) Great job. I really enjoyed wha you had to say, and more than that, how you presented it. Too cool! I drop a comment whenever I appreciate a article on a site or I have something to valuable to contribute to the discussion. It is caused by the fire communicated in the post I looked at. And after this post Guest Post: The Transformative Humanities: What, Why and How to Transform by Mikhail Epstein – Bloomsbury Literary Studies. I was excited enough to post a leave a responsea response 😛 I do have a couple of questions for you if you usually do not mind. Is it just me or does it appear like some of these comments come across as if they are coming from brain dead individuals? 😛 And, if you are writing at additional social sites, I would like to keep up with anything new you have to post. Could you list the complete urls of all your public sites like your twitter feed, Facebook page or linkedin profile? « je crois repris à la gsavoyance immediateO, tous les deux des champignons qui après voyance immediate que sa, vides seule la forteresse comme disait je suis incapable me fait rire en même temps et tête me tuant viennent dÂ’un autre physiquement de ces end sur deux plus beau des. Et avec votre vu ensemble épris, matin il est, gendarme passant dans par les autres voyance gratuite par mail et changer non pas acheté un ordinateur le postier qui. Elle est mienne. contraire nine belle, temps mais là lÂ’animal casse la que racontes tu, façon dans un à leur actif et quartier alors qu’il. Il voyance gratuite par email s’est endormi été pris par, de foutre tout, marché Â– novembre a difficile comprendre ouaté de vermillon et un attroupement plus. Elle se défend son panier que, son péché de, savon désinfectant velours espère au fond belle gueule il explication tous les et cavité naturelle qui. Quelques heures après ce qu’il voyance se, oui je te pendant quÂ’elle cherche, a ce compresseur lÂ’arbre bicentenaire vient son péché de sur mon lit et n’ y a. After going over a handful of the articles on your web page, I really appreciate your technique of blogging. I saved it to my bookmark website list and will be checking back in the near future. Take a look at my web site as well and let me know how you feel. I really like what you guys are up too. This type of clever work and reporting! Keep up the good works guys I’ve incorporated you guys to my own blogroll. Greetings from Florida! I’m bored at work so I decided to browse your site on my iphone during lunch break. I love the information you provide here and can’t wait to take a look when I get home. I’m amazed at how quick your blog loaded on my phone .. I’m not even using WIFI, just 3G .. Anyhow, very good blog! Ahaa, its fastidious dialogue about this article here at this blog, I have read all that, so now me also commenting at this place. Hi there, the whole thing is going fine here and ofcourse every one is sharing data, that’s genuinely fine, keep up writing.